Is a Single Sign-On Portal alone enough for your organization? 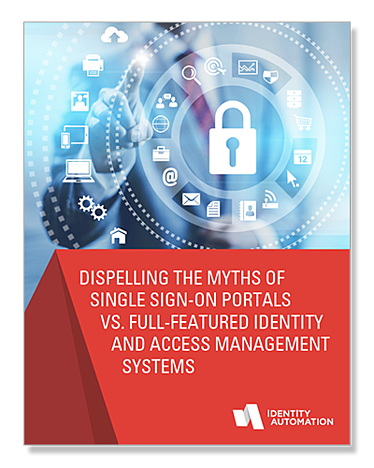 It’s not uncommon for the terms “single sign-on (SSO) portals” and “identity and access management (IAM) solutions” to be used interchangeably. However, while these two solutions do offer some of the same features, a full-featured IAM solution's capabilities go well-beyond those of an SSO portal alone.